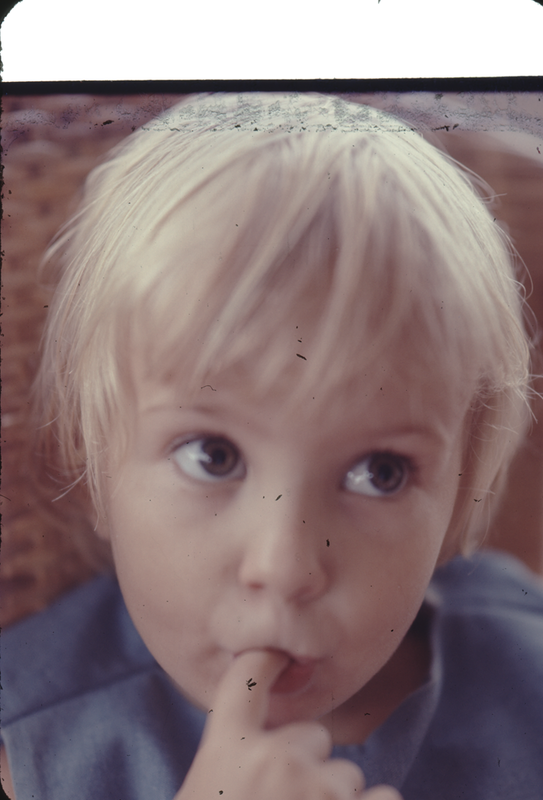 The kids are doing most of the slide scanning and put this one in family. I am not sure which one of their aunts they think is an alligator. I know there is no way they think their father is one. Dad had an amazing eye for pictures. Yesterday in an email from mom I learned something really new. Dad loved to take pictures but he didn’t often share them. Even with mom. So some of the pictures I am posting here have never been seen other than by day through the viewfinder the first time and then may once when he picked them up. Pristine unviewed. My apologies to my sisters for my children’s perceptions of you. While in Bangkok Lynne and I went to an English school. We used to, on the high tide beach at Pataya play cricket. 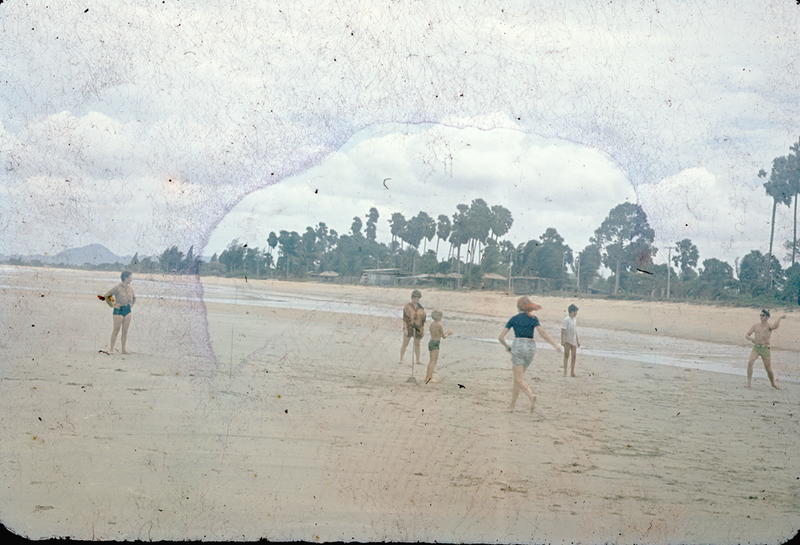 This image is of us playing cricket in 1972 Pataya Thailand. I also played soccer and rugby. I was never very good at sports but I love watching them and learning the intricacies of the game. I can actually watch a cricket match to this day and understand what is going on. In fact on the weekends when I used to travel to Southeast Asia a lot I actually watched a few. One at the all Singapore Cricket club that was just a whole lot of fun (and a whole day, I did not make the entire weekend match). We are diligently working to clean up some of the slides. As you can see the years (40+) haven’t been kind to all the slides. 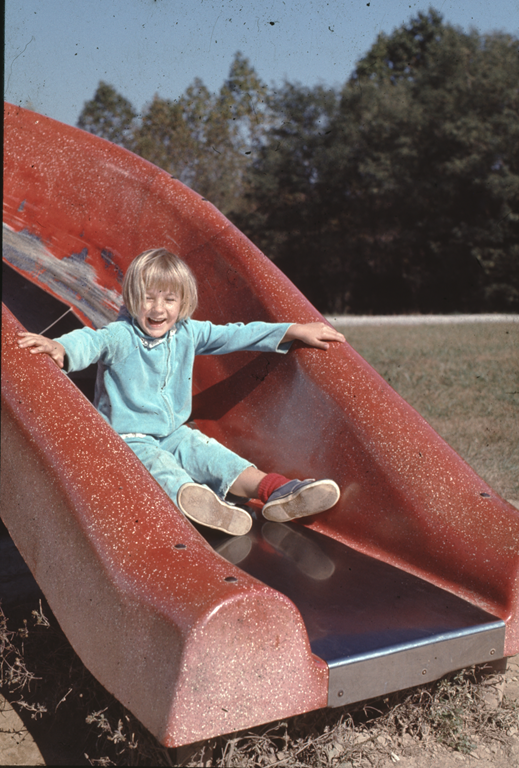 Today we will end with a picture of my little sister and a slide. Who knows where that slide is. Somewhere between Southern Indiana, Wisconsin and Thailand. But the smile is evident (and does it bear resemblance to the first picture hummm?). The sad thing is looking at the picture of the cricket game I remember them like they were yesterday. Dr. Weigand and his family had come to visit us in Thailand. I think it was just Dr. Weigand and his wife Tally. Later in life in my first teaching job I had a chance to work with Tally Weigand she was an amazing reading teacher. I think all of the adults in that slide except one are no longer with us. A day I remember for them now. 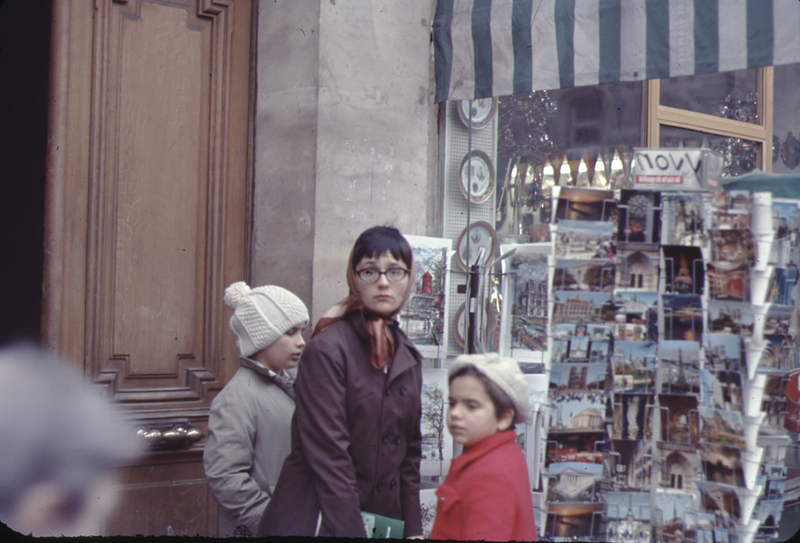 On our way to Bangkok in 1971 we stopped in Paris. Actually the first stop was our magical visit to Ireland (that I will never forget). The second stop was Paris so dad could prepare for his new job and role. I mentioned before we spent roughly 10 days there. First picture is of course the first picture everyone takes when they get to Paris. I love how the fog so nicely outlines the Tower. 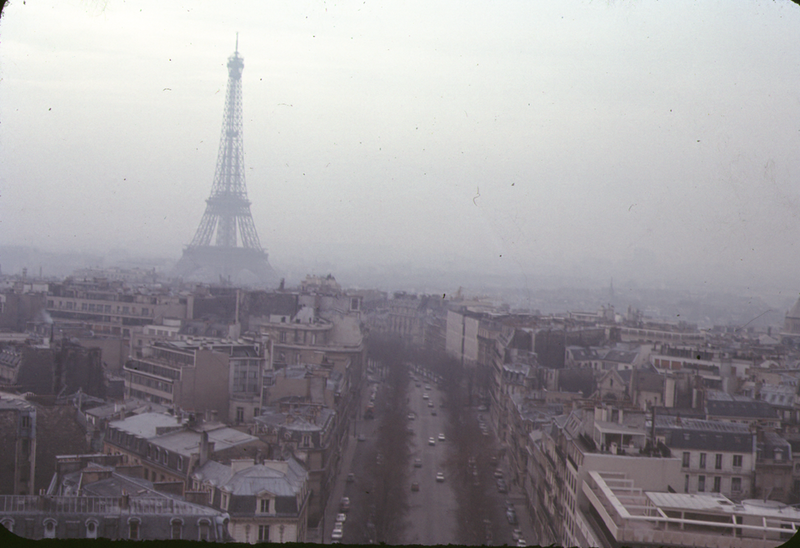 I don’t remember it raining in Paris my first visit there. I am sure it did because they picture points to not so nice weather. We were there just after Christmas in the city of lights. I had so many plans while in Paris. Poor mom actually took me to all the places I wanted to go. And Napoleon’s tomb, twice. 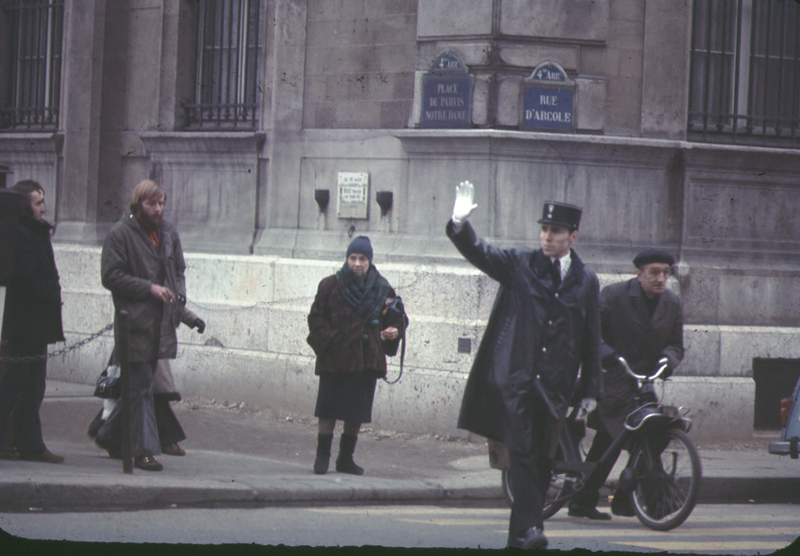 Mom loved the French police as they directed traffic. I suspect that is why dad took this picture. But he took a lot of pictures so you never know. I don’t recall the moment of the last picture nor could I for the life of me tell you where my youngest sister is related to this picture. What you see in this last one is the three of us in Paris. Lynne and I are wearing our Irish Wool caps. I loved that cap and of course landing in Bangkok didn’t get to ever wear it again. By the time I could wear it again I didn’t really love that cap. But for the moment of this picture I did still so love that cap. The moments of your childhood impact the days of later life. What you remember and how you remember those moments are the things that help us keep the world straight. So while I do not remember the street. I do remember the City, Paris. Songkron day or Thai New Year 1972. The goal – get as many people wet as you can. It was a fantastic day and I loved the entire day and concept. We also, in Dad’s first experience driving on the wrong side of the road ended up side swiping a car. I don’t remember if it was the policeman’s car or if the policeman was in the pub dad walked into to find out whose care it was. But I do remember him swiping the side of a parked car in his first international wrong side of the road driving experience. Phoebe and me in front of the house on Dunstan Drive. 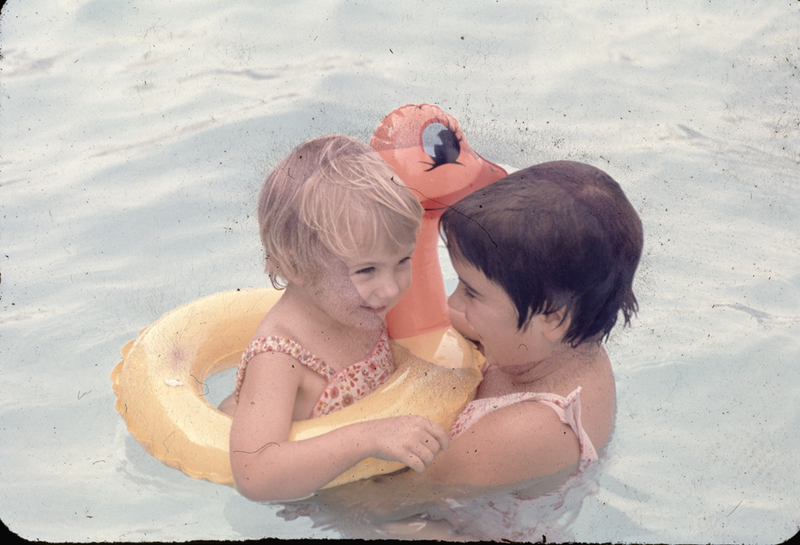 This would probably be circa 1973 after we had gotten back from Bangkok. We moved into this house in 1968. We had lived at that point in Bloomington for two or three years. Our first residence was Hoosier Courts. I’ve mentioned that before. The second place we lived was an apartment in Tulip Tree. 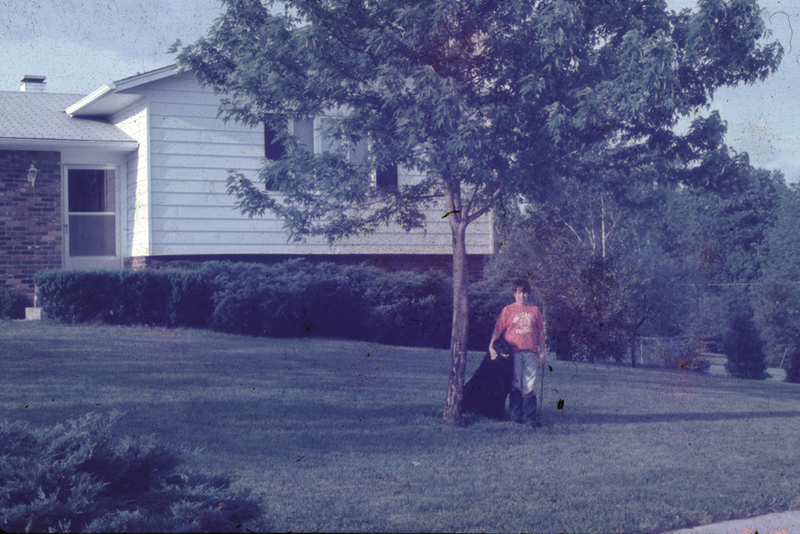 This was the first house we had in Bloomington Indiana. Off to the right of this picture was the neighborhood park. It was probably 5 acres in size. We had basketball and tennis courts at one end of the park. The other end was an open field and at the edges of that field there was a creek that ran alongside the park. That was the territory we played in all those years ago. It was huge expanse of area and we ran freely through all of it. Inside our blue Mercury station wagon. This was the family do everything car for many years. The third seat folded down so you could use it for stowage. Dad had them install seatbelts in the 3rd seat. 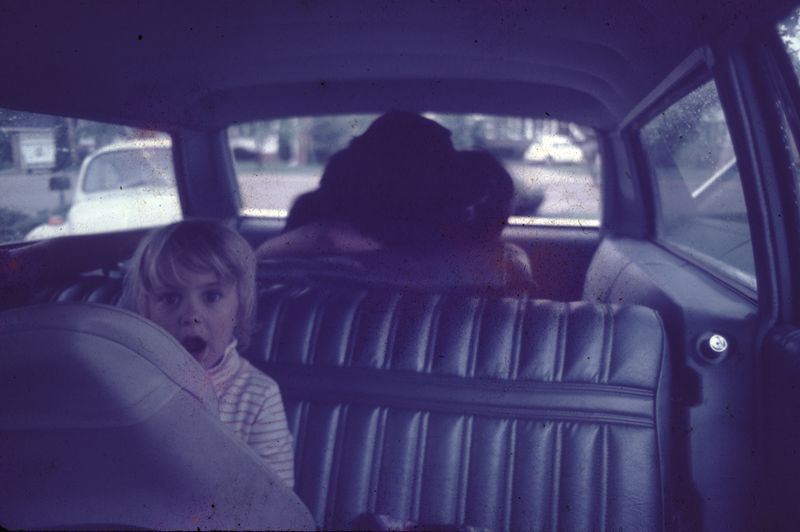 Even in 1969 when he got the car dad was a seatbelt believer. I can remember getting into friends cars in the 1970’s and buckling my seatbelt. I remember parents and even my friends looking at me sometimes and some of them even asking me “Why are you wearing a seatbelt.” I am wearing a seatbelt because my dad told me to. They tried everything over the years. As you can see Barb’s car seat was huge. But nothing stopped us from arguing, fighting and in the end being an all around trio of annoying car riders. Do you remember the days of December…. The amazing picture of my little sister courtesy of Dr. Hans O. Andersen. He had an amazing eye for photos. I think to a degree that the reality of digital cameras takes away some of the artistry for some of us. I can take 100 pictures where dad could only take 1 or 2. It makes for more pictures of an event but in the end less quality. Pictures like this one pack memories into such a small space. They say a picture is worth a thousand words. Some are in fact worth more. Some of priceless captures of moments that in the end will never be seen again except on the digital or printed paper. By the weekend we may be as much as 1/4 of the way through the slides. As I have said for the past few days it has been an amazing experience so far. 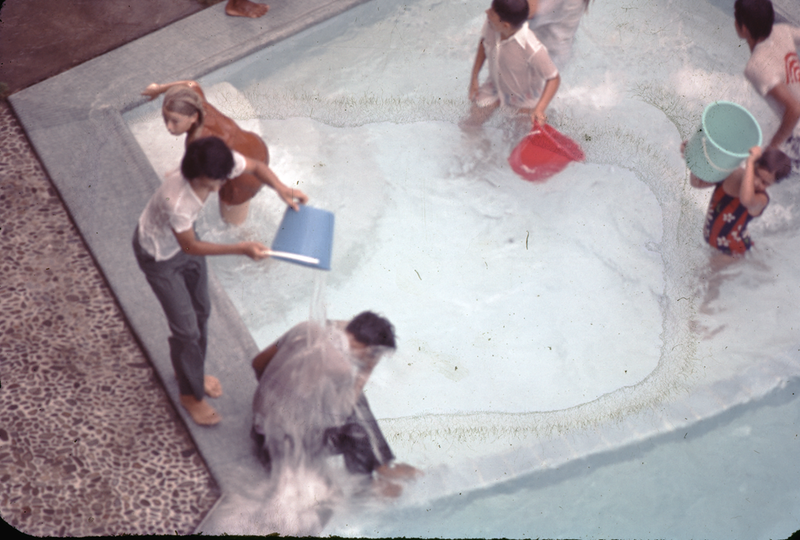 Mom and my sisters in the pool that was in our apartment complex in Bangkok. We lived at the end of Soi 12 on the 4th floor. The image is reversed. I suspect dad took this from our balcony/porch of the apartment looking down. We loved that pool. There were days it was so hot I would come home from school and just walk right into the pool not even changing into a swim suit, just in my school clothes. I suspect we spent a long time in that pool. Mom grew up on a lake in Wisconsin so she was always in the water in the summer. There are both my sisters in the pool together. I think Barb learned to swim and walk at virtually the same time. Probably not (it’s a joke) but it felt like it. 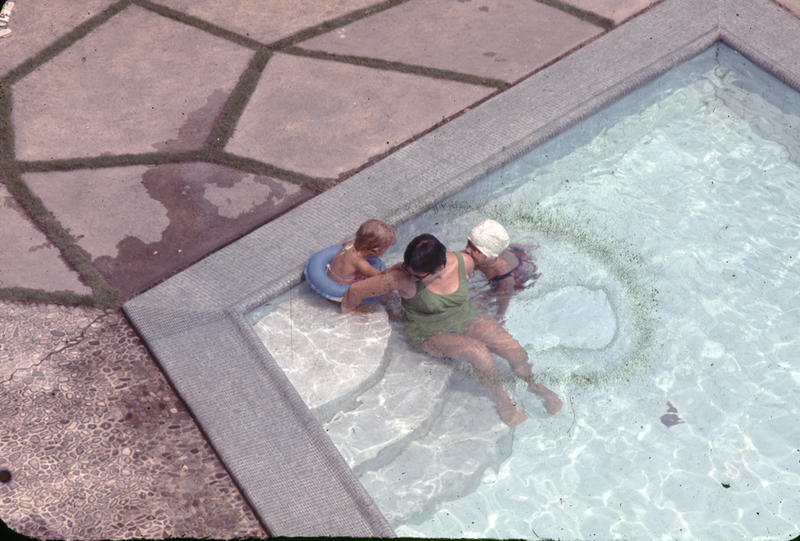 We spent a lot of time in that pool. Time to get rolling – it is after all a workday! More photo trips down memory lane…. 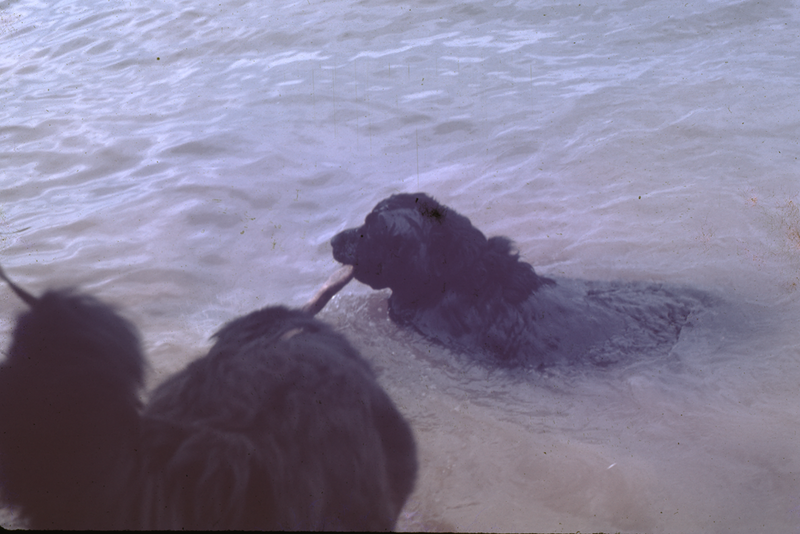 That is a picture of Phoebe Kuma our Newfoundland. She was without a doubt the best dog of my childhood. Every dog I’ve ever had the pleasure of living with was special. Phoebe spent most of her time plotting the overthrow of mom’s reign of terror. I will never forget mom’s horror when she pulled down a delicious carrot cake from the top of the cabinet in the living room with a ton of guests and it was half eaten. You could clearly see where Phoebe had eaten half the cake, leaving only the visible half. Clearly dog chewed. Mom was horrified. Phoebe just looked happy. 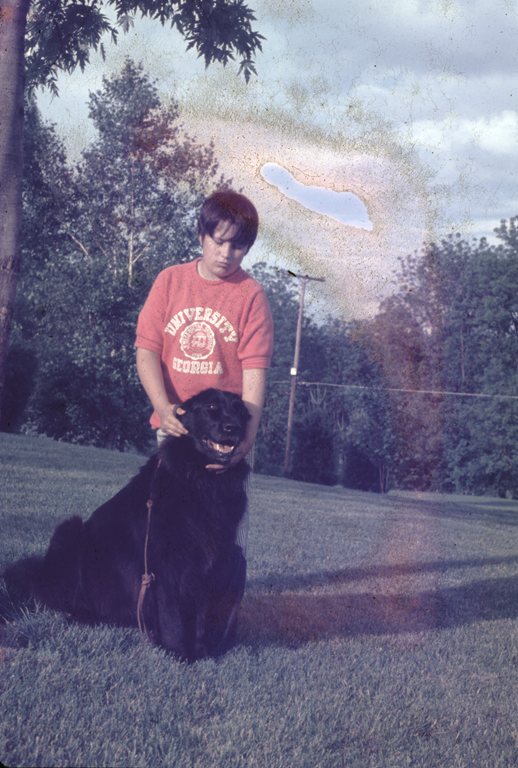 There is me with Phoebe in our old backyard 1523 Dunstan Drive. The slides we are scanning are a wealth of information. Its so fun to go hand pick a couple of them to share with the world. Some of these images haven’t been seen in 20. 30 and 40 years. Dad was very picky about the images he took and the images he shared. Sometimes I think he was far to hard on himself about the images he didn’t share. 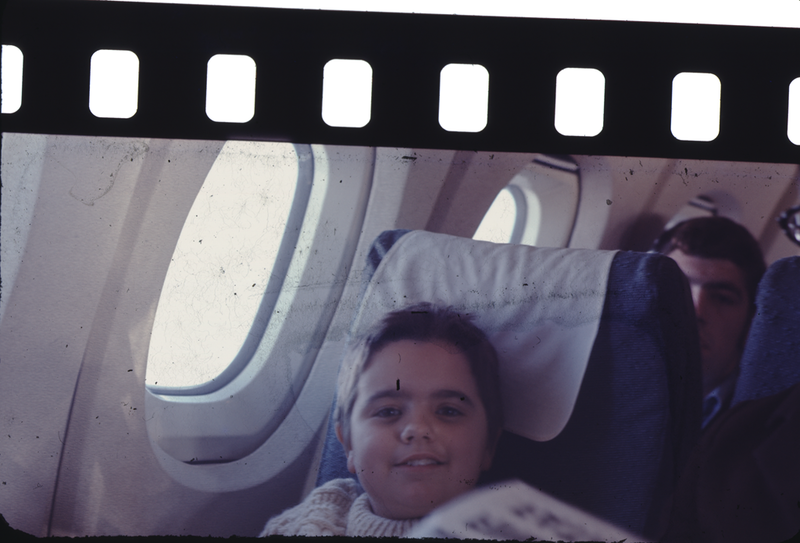 My sister Lynne in 1972 on her way to Thailand. The trips down memory lane are fantastic. Dad did so love his apples. 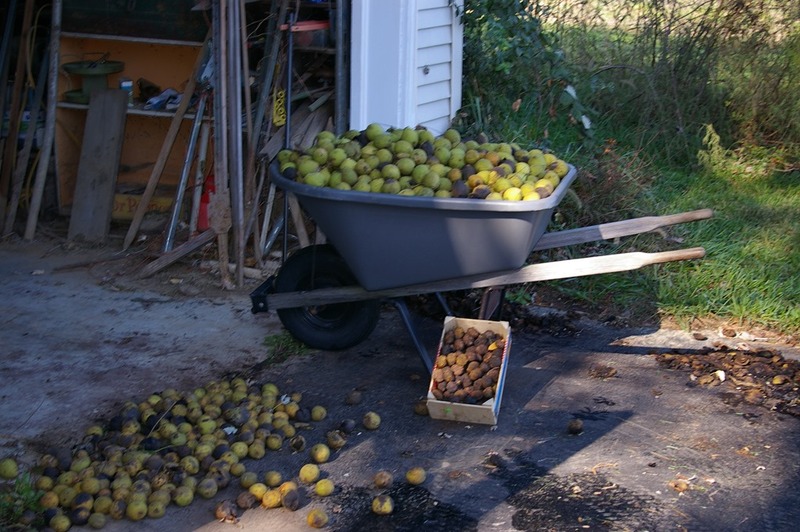 This was probably before a cider making session. There was something magical about getting together as a family and making cider. First off it made you realize that most cider has a huge protein component. (as in 200 or more bees if you aren’t careful). But there is something about the family moment. I am continuing my campaign for another bridge across the Potomac. Surely there is a place near the current 495 bridge we could slide another bridge over the historic C&O canal and relieve congestion there. I do understand the preservation requirements of the canal and support that 100% (besides Dylan would bite me – he loves the canal walks). But we could build a bridge near the current 495 crossing that created an Ezpass bridge. Pay an extra $2 and you can cross the express bridge. You could even build it right next to the current bridge or under it. Or those long promised flying cars so we could stack traffic vertically and of course no longer be bound to the specific width of the bridge. I am just saying. 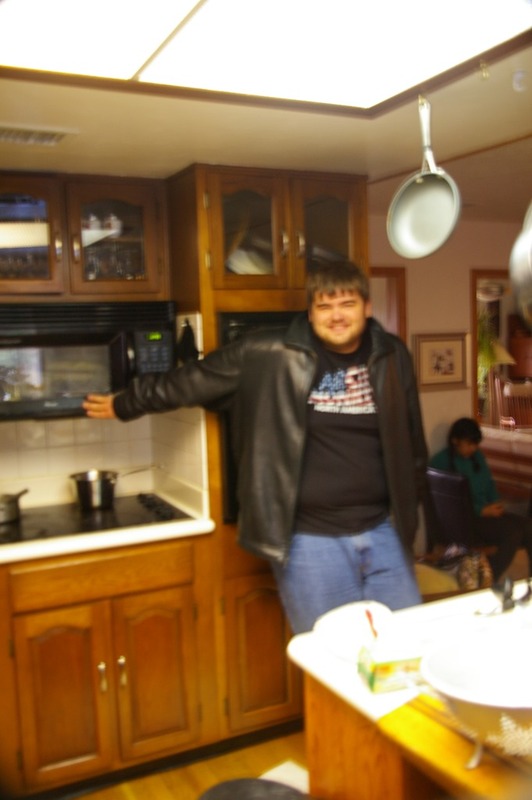 A picture of Matt relaxing in Mom and Dad’s old kitchen. A lot has changed since that picture was taken. Its been fun digging through all the old pictures. 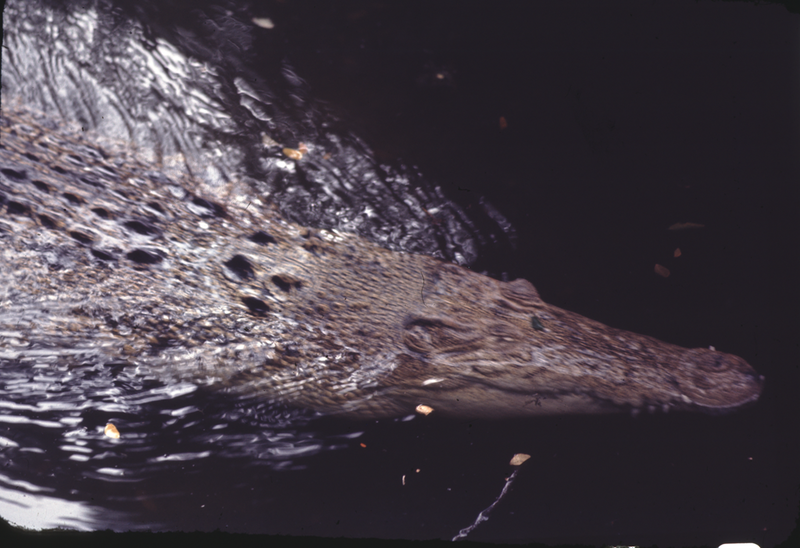 We’ve gotten 1000 slides scanned in a little over 10 days. At that rate we are looking at roughly a 93 day project. Hopefully the kids can speed up the scanning a little. Just need to get all the scans into a single drive (and then make a lot of copies of that drive). What will we do with 250,000 pictures? For those of you who know me, the picture could be from any age. 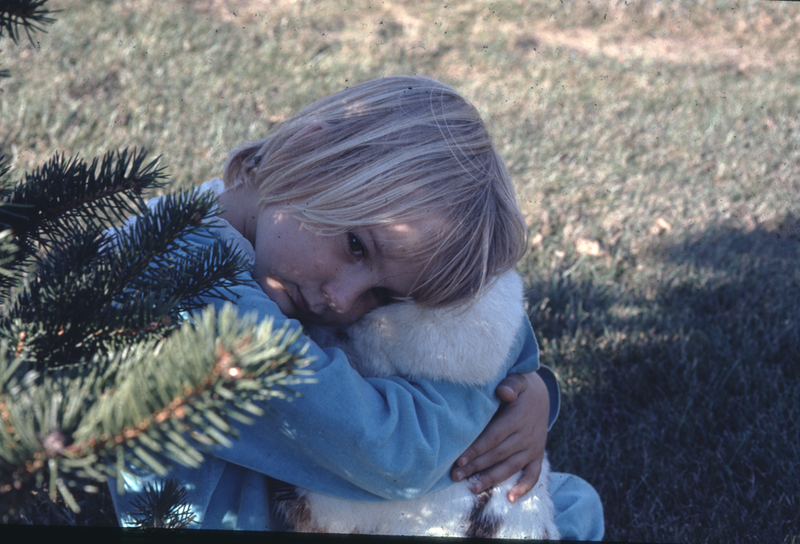 In this particular case it is a picture my father took when I was somewhere between 9-11 years old. I do not recognize the building behind me so I can’t pin point it more than that. We’ve scanned roughly 1000 of the 9000 slides. Between that and the nearly 2000 digital pictures of dad’s we found I have to say the project is a lot bigger than original estimated. I suspect the scope creep is my fault. The more I look at that picture the more it looks like the dark object in the back is a door. It does however bring a non-family but family topic to bear. How do you organize a digital life? 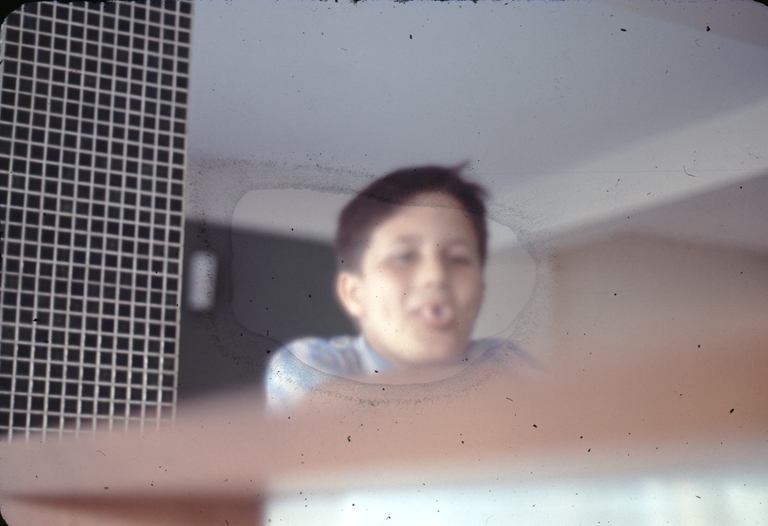 My father left between 8500 and 9300 slides (plus or minus based on courting and a few slides that are dudes). He left another 2500 to 4000 digital pictures. Once our project is done I am back to my problem of four years ago now – The Syncverse. I will fold those 11,000 to as many as 13,000 digital pictures into a collection of more than 90,000 digital pictures and another 200 or more videos (not counting the 40 compiled video’s now on DVD of family events). How do you organize a fully digital life? At the rate I am going I will be well past 100,000 pictures. With Flickr, Photo bucket and Facebook being the only places I really heavily display things (the occasional Washington DC traffic photo appears on instagram by me). In the concept I developed (The Syncverse) there is a nice compilation of your digital life organized by professional and personal. Many of my traveling pictures are professional but taken to share with my family. It was never real, the cool things I saw until I got to share them with my family. They make the travel real – because I traveled for work and work was to keep my family happy and safe. It will take us between 150 and 200 hours of work to actually scan all the slides. In the end well worth the expended time. But what happens when you get to a place where someone has 250,000 pictures or more. Thousands of hours of video. Or they have the sixty second camera on their life for a year (it takes a picture of what you are doing every 60 seconds). What do you do with a vast digital archive? In the end the Myverse, Syncverse software cannot come fast enough.